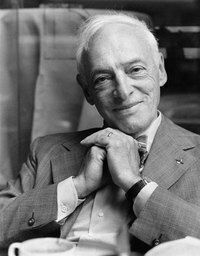 Saul Bellow was born in Lachine, Quebec, a suburb of Montreal, in 1915, and was raised in Chicago. He attended the University of Chicago, received his Bachelor's degree from Northwestern University in 1937, with honors in sociology and anthropology, did graduate work at the University of Wisconsin, and served in the Merchant Marines during World War II. Mr. Bellow's first novel, Dangling Man, was published in 1944, and his second, The Victim, in 1947. In 1948 he was awarded a Guggenheim Fellowship and spent two years in Paris and traveling in Europe, where he began The Adventures of Augie March,, which won the National Book Award for fiction in 1954. 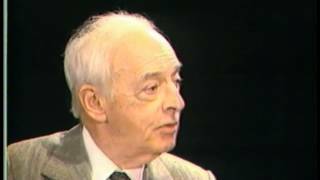 Later books include Seize The Day (1956), Henderson The Rain King (1959), Herzog (1964), Mos Saul Bellow was born in Lachine, Quebec, a suburb of Montreal, in 1915, and was raised in Chicago. He attended the University of Chicago, received his Bachelor's degree from Northwestern University in 1937, with honors in sociology and anthropology, did graduate work at the University of Wisconsin, and served in the Merchant Marines during World War II. In 1965 Mr. Bellow was awarded the International Literary Prize for Herzog, becoming the first American to receive the prize. In January 1968 the Republic of France awarded him the Croix de Chevalier des Arts et Lettres, the highest literary distinction awarded by that nation to non-citizens, and in March 1968 he received the B'nai B'rith Jewish Heritage Award for "excellence in Jewish literature". In November 1976 he was awarded the America's Democratic Legacy Award of the Anti-Defamation League of B'nai B'rith, the first time this award was made to a literary personage.